My style of wedding photography is a mixture of several styles of photography to create a collection of carefully captured images to tell a couples wedding day story. During the course of getting to know each other and during the wedding day, my wedding photography incorporates the personalities, the atmosphere, emotion and love you share to deliver a wedding story that is distinct and personalized. I am routinely asked about prices, travel policies, albums, image delivery timelines and many other Wedding Photography related questions. I hope that this Q&A answers most of your questions, but if there is anything else or if I missed something please contact me, and I will answer your questions personally. How much does your wedding photography cost? I can understand wanting to find pricing without asking, but I do not publish my Wedding photography pricing for a variety of reasons. 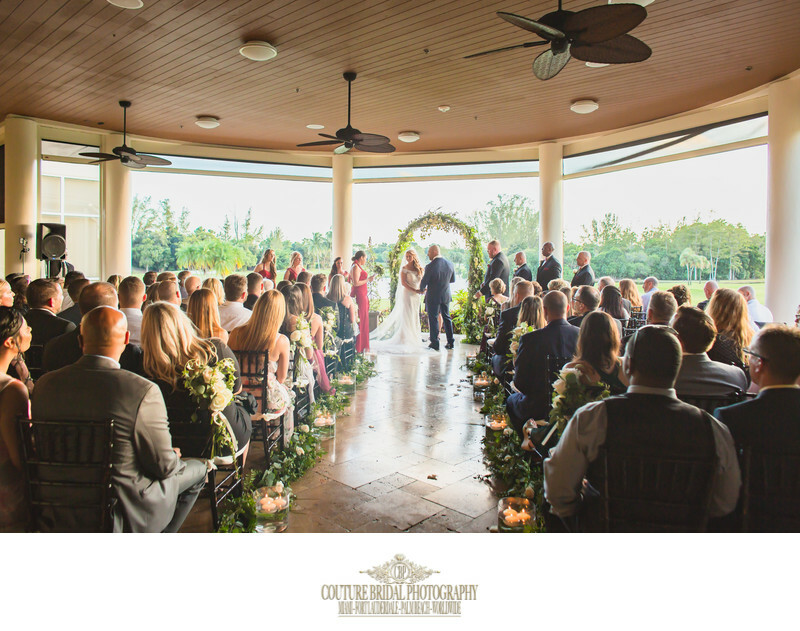 My rates and collections vary by location because they will not reflect travel which do not apply to local weddings in Miami, Fort Lauderdale and Palm Beach, Florida. Destination Weddings also take into account additional factors as well. For the most part I create customize Wedding photography collections for my clients that incorporate their specific needs, budgets and must haves. You can contact me with your specific wedding details and I will be more than happy to provide you with a personalized wedding photography collection and quote. Fill out as much information as you can on the contact page and I will call or email you right back. I work with another lead photographer (Giovanni Gutierrez) when requested, but for the most part he photographs weddings independently of me. I do have several second shooters available upon request for a nominal fee. I edit every image by hand using a variety of software. For the most part, I am a Lightroom Guru and work heavily within that realm. I look at every image and some images receive extra treatment in other software. Where do you live and where do you travel? 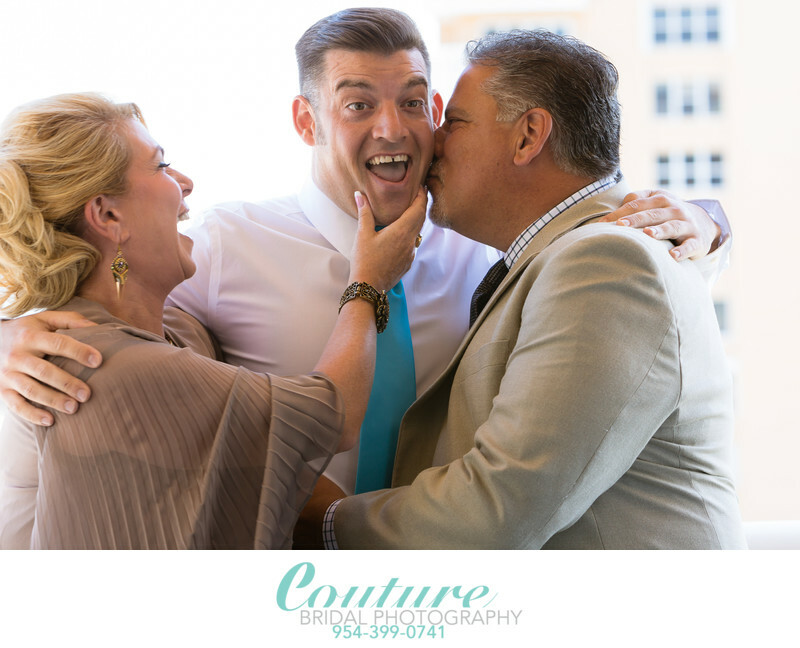 I live in beautiful Fort Lauderdale Florida and travel within Miami, Fort Lauderdale and Palm Beach with no added fees for Engagement and wedding photography assignments. I travel throughout the United States, Caribbean, South America and Europe on Destination Weddings work with my clients for the most economical means of safe travel. Living in Fort Lauderdale provides easy access to Fort Lauderdale International Airport, Miami International Airport, and Palm Beach international airport for travel worldwide. Travel for Destination weddings involve discussion on the most affordable, yet safe means. I do not offer videography services, but I can offer suggestions on videographers I have worked with in the past. It is up to you to choose if you like their style and if they work within your budget. Do you have references we can contact regarding their experience with you? This is a great question, since when applying for a job a resume with references is customary. I do not provide references for two reasons. #1 if I provide the reference it might be seen as biased, since I might provide references that would speak worlds of me. #2 I value my clients privacy and investment in my services. I would never ask a client to market and advertise my services free of charge on their own time. The best place to see unbiased reviews from past clients is to visit Weddingwire.com and Knot.com. You may also visit my Facebook page reviews, as well as those placed in google searches for "Couture Bridal Photography". I always work with a photography assistant. I truly couldn't create the kind of work I do without a second set of hands. My assistants are a select group of individuals that are on their way to becoming lead photographers with "Couture Bridal Photography" and/or eventually go off on their own. Just so you know my assistants are abled bodied photographers with impressive gear as well. They take part in capturing different angles during certain parts of the wedding day. Their images will also be a part of your Wedding Photography collection. How many color vs. Black and white images do we get, Can we get both for all our images? During the course of a wedding day, I capture images with color and black in white in mind for a particular moment or scene. During the editing process I also take into account which works best with a particular scene or moment. My artistic eye, style and kind of image dictate what works best. I provide a mix of both. Let me know before wedding day if you'd like more than the other so I can take that into account as I photograph your wedding day. How long before we get our pictures and products? 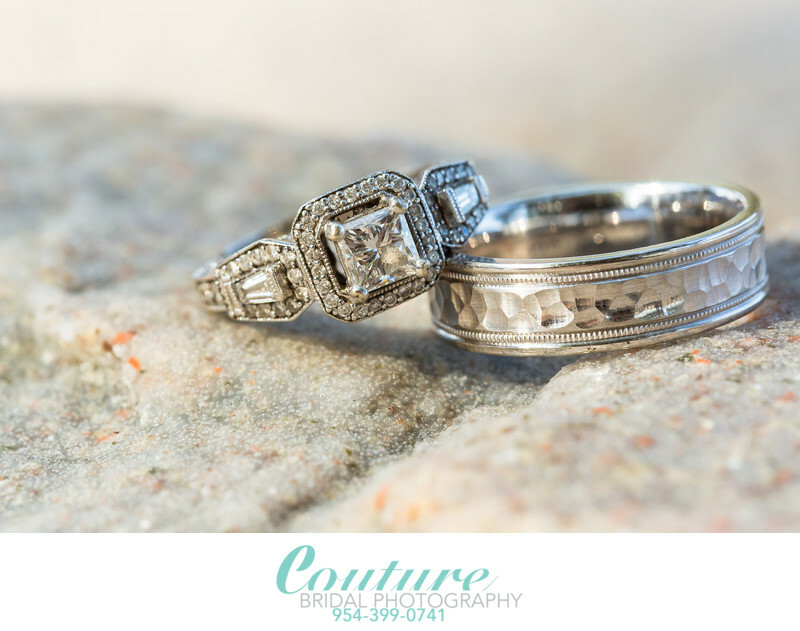 I work diligently to edit and deliver wedding collections to their respective clients in the order they were captured. I typically deliver your images with your personalized password secured gallery within 6 weeks. Print orders placed from your online gallery average 7-10 days, and Graphistudio wedding art books approved and ordered take 6-8 weeks for delivery. I do provide sneak peeks via Facebook and Instagram to keep you excited and share with family. I do not watermark any of my high resolution images that I will be delivering to you. 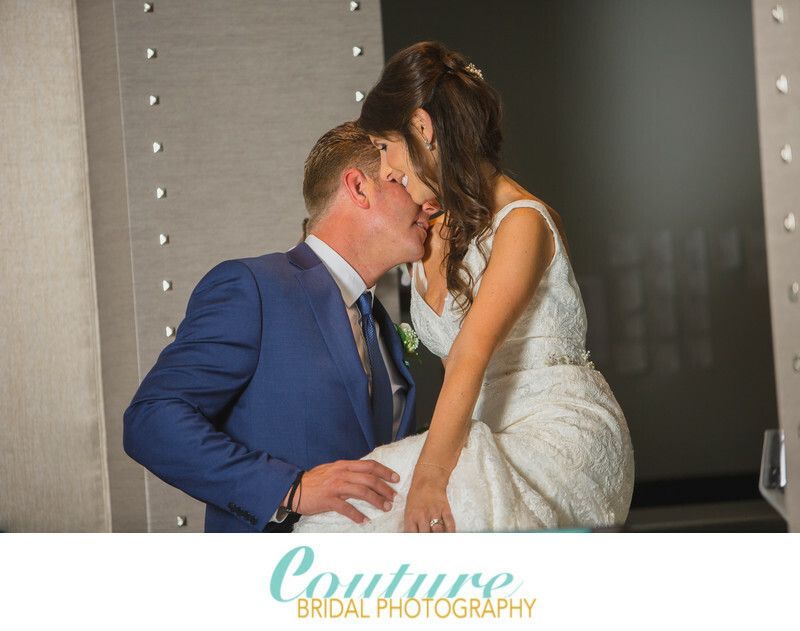 My goal is to provide you with such an incredible wedding photography experience from beginning to end that you'll scream, "Couture Bridal Photography" from the roof tops and write amazing reviews about my team and I. That is the best Watermark I can apply to any image! How Many images will we get from our Wedding day? This is a very common question and one that is hard to answer. The quantity images you receive depends on a number of factors. How long of a wedding day you have? Locations where events will take place during the course of the wedding day, and most importantly your timeline. A timeline that allows me to take some time to create images will not only produce more wedding pictures, but higher quality artistic images. Can we get the RAW images or Negatives? I select the equivalent high resolution edited images you will receive. After delivering your images, you can have them printed at your discretion or use my preferred professional printing directly from your personalized online gallery. I cannot provide RAW images for purchase or viewing, this would be the equivalent of asking for the secret herbs and spice recipe from KFC and making your own fried chicken. Raw images that are not edited for various reasons are deleted. The images your receive reflect my extremely high standards for wedding photography, artistry and creativeness. 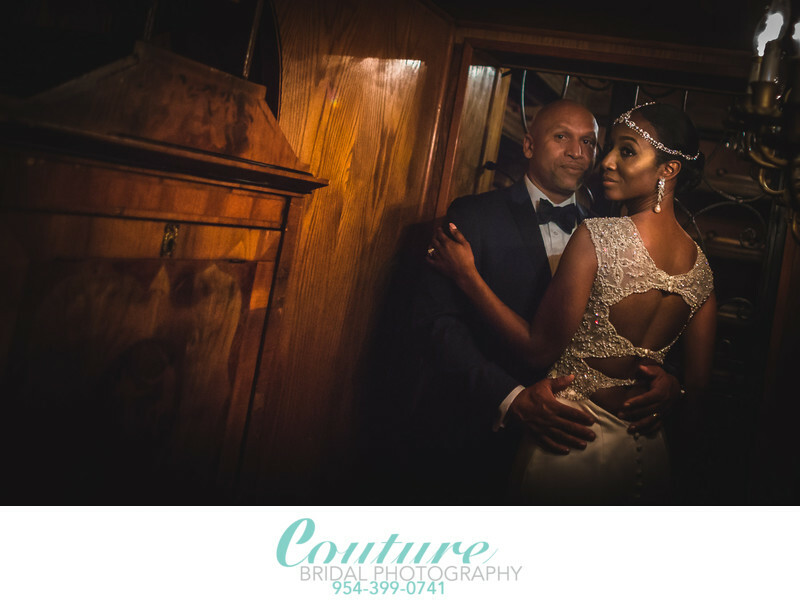 You will receive the most carefully captured, curated, culled and edited images possible that has made Couture Bridal Photography and myself the most sought after wedding photography studio in Florida. What is your online Gallery? I deliver your wedding photography images through a personalized password protected online gallery. 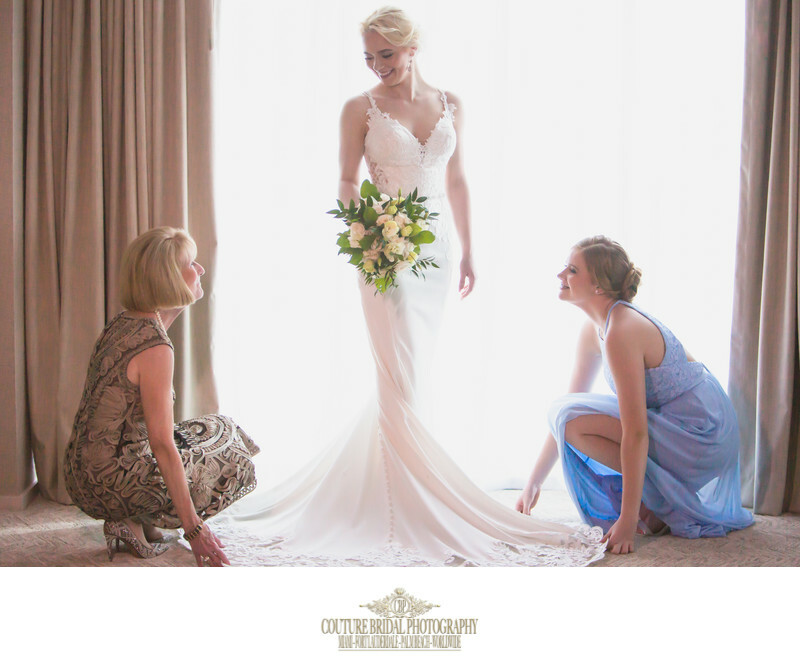 When your Wedding pictures have received final editing and touch ups, your images are uploaded to your gallery. When you access your gallery you can download any and all of your images, share the password with family and friends, purchase professional prints, canvases & Metal prints. Your personalized online password protected gallery will be accessible for a period of 6 months. Do your offer Engagement Photography Sessions? I absolutely love providing couples with fun romantic and exciting engagement photography. Some of my most creative and fun images take place during the more relaxed time we have during your engagement session. Additionally, engagement sessions take place in places that are familiar and special to you. Another advantage to having an engagement photography session, is the opportunity to get to know me and become comfortable in front of the camera while taking direction. I hope I can answer most of your questions regarding my style of Wedding Photography. Discussing my particular style and a client being able to compare styles among thousands of Wedding Photographers can be arduous. How would you best describe your Wedding Photography Style? My wedding photography is a culmination of various styles and influences in the 24+ years I have studied and practiced photography. My photography incorporates Photojournalism, Illustrative, editorial, glamour, high-fashion and traditional photography styles. I also use natural lighting along with flash, strobe and video lighting to create mood, interest and illumination during the course of a wedding day. Fortunately, my wedding photography has been described in much simpler terms by past clients as Elegant, Romantic and Timeless. Do you do group family pictures on Wedding day? I certainly do take group family photos during the course of your wedding day. I make an effort to quickly photography family group photos right after the ceremony, so we can move on to bridal portraits during the cocktail hour. Please assign a wedding coordinator, planner or close family member to gather family members since I most likely won't know them. Can we provide you with a "Shot List"? I know and have seen many wedding photographers working with a shot list. Providing a shot list would be counter intuitive to the style of wedding photography you hired me for. Additionally, I spend much of your wedding day anticipating moments that about to take place and predicting where special moments will occur. I promise I will capture every detail, emotion and special moment as it take place during the course of your wedding day photography coverage. While we discuss shot lists, it would only make sense to mention "Pinterest". I love Pinterest as a source of inspiration and ideas, but I am not a fan of copying images. Let's use Pinterest together as inspiration to create a distinct and unique images others will want to copy! Here is where I will answer business related questions most clients have asked when meeting with me. If your questions aren't answered here, please feel free to contact me for any and all questions regarding my services, photography and availability. I absolutely do have liability insurance as required by most of the world's popular wedding venues, resorts, hotels, parks, Country Clubs and cruise ships. Upon hiring me to photography your wedding, I will provide your wedding venue with a loss payee certificate as required. My general liability insurance exceeds the value necessary for most venues, due to providing wedding photography services as some very high end luxury venues. I'm a Canon guy and use Canon's top of the line cameras and lenses. I also have back ups camera's lenses and gear to get through any situation as it might occur. I also use a variety of high end lighting tools to make sure I can capture moments anywhere under any conditions at any time. My gear is also well maintained and serviced regularly for reliability. I have been in business as a wedding and portrait photographer since 2006. I established Couture Bridal Photography officially in 2008 when I decided to really pursue Wedding Photography full time. I have been involved with photography since the age of 16, as a devout and extreme hobbyist and student. Since 2006, I have photographed approximately 300 weddings and engagement Sessions throughout Florida, Boston, Denver, Charleston, Los Angeles, Puerto Rico and New York City. If I'm interested in hiring you, can you hold a date for me? to be fair, I can only hold dates for clients that provide a signed Wedding Photography contract and booking fee/retainer. Once I receive your signed contract and Booking fee/retainer, your wedding date is secured and all other requested are denied to provide you the personalized Wedding Photography service you deserve and we're known for. What is your Booking fee/Retainer and payment schedule? My booking fee/retainer for wedding photography is $1000.00 Us Dollars. The balance is 50% 90 days before the wedding day and final payment due 7-10 business days before your wedding date. Any additional fees incurred such as overtime, parking fees, etc. will be billed after the wedding day before delivery of Wedding Photography images. If we cancel the wedding, do we get our booking fee/retainer back? Unfortunately, when I accept and sign a contract with you along with a paid retainer that specific date is exclusively yours. I turn down and do not accept any other photography assignments for that date. Your retainer is what binds me to a specific date. I will work with you, if you move your date and do my best to accommodate you in such an occurrence. When should we book your Wedding photography services? Book your wedding photography ASAP! I can't hold specific dates or promise I will still have a specific date available. Couples book me 12 to 18 months in advance for their Wedding Photography in South Florida and Destinations worldwide. It is not unusual to have clients call me from a venue to book me for specific date just to make sure they can book me. Do you offer any discounts of specials for off-season Weddings or non-saturday Weddings? I occasionally offer discounts and offers for weddings during the off-season here in Florida and non-Saturday Weddings. I alway offer special incentives and savings on Destination Weddings throughout the United States, Caribbean, South America, Europe and Asia. Call me if your interested in taking advantage of my Destination Wedding Photography discounts.